My thanks go out to Steve and Timi at MX Publications for my copy of this book. May Undershaw stand forever! The case is presented to Holmes by Miss Florence Monkton. She is the niece of Lady Hemingworth of Theobold Grange. She learned of Holmes from a friend of her late father. 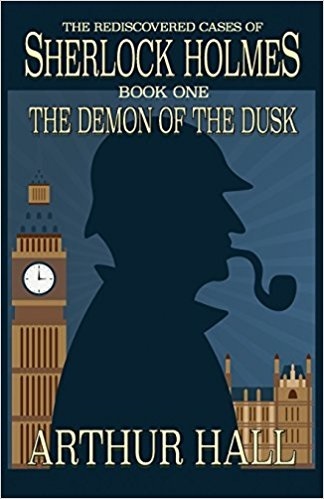 Holmes had solved a mystery for the friend, a man named Mr. Cavendish Stroud. The case begins with old parchment discovered in the ruined East Tower of Theobold Grange in Warwickshire. It is the legend of a court jester said to have suffered at the hands of Baron Roger de Lorme, who originally owned the estate, then known as Armington Keep. Theobold Grange is built upon the old foundations. The parchment states that the ghost of the jester will exact revenge on the descendants. Lady Heminworth is at the head of the current family. Hemingworth is indirectly connected to the Baron’s progeny, the final direct heir having died long ago. This is a truly great Holmes story! Kudos are given for the remarkable final reveal. I found the book to be fast paced but the characters very well developed. Action adventure, mystery and a hint of a ghost story combine to create a tale well worth the reading!